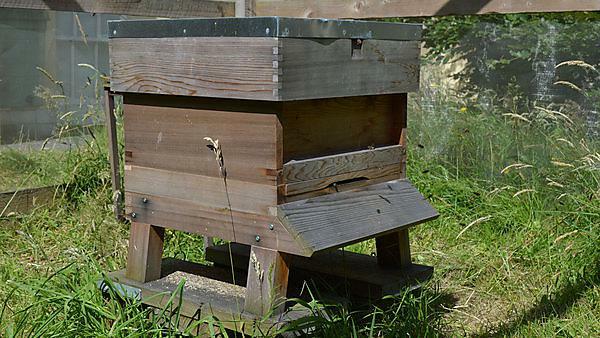 The Portland Villas Apiary on the University of Plymouth campus provides the opportunity to help support the honeybee as a pollinator. Populations of honeybees are in decline in the UK and around the world. The apiary on campus provides the opportunity to support and study the local variety of honeybee as part of our push for sustainability and conservation within the South West. Without insect pollination, about one third of the crops we eat would need to be pollinated by other means, at great expense. Bees are the predominant and most economically important group of pollinators in most agriculturally significant regions. This installation is in collaboration with the B4 project. It will create connections with a growing research agenda in an area that both has a high public interest and is interdisciplinary and will provide onsite facilities for bee research. Increase opportunities for outdoor learning, wellbeing activities and curriculum development. Increase biodiversity on campus and raise awareness of the plight of the honey bee amongst staff, students and visitors. Strengthen PU involvement with B4 partners in the region including the Eden Project, Paignton Zoo and Duchy Estates. To engage staff and students in sustainability education opportunities both within and beyond the formal curriculum through the B4 project. To promote the benefits of saving the remnant population of the native Apis mellifera mellifera (Black Honey Bee). The Black Honey Bee was the original bee of the British Isles. To generate and distribute a sustainable population to new and established bee keepers in the South West peninsula and educate these beekeepers, and the public, in the benefits of breeding A. mellifera mellifera. Reduce our reliance on imported honeybees, making honey production and pollination more sustainable and less susceptible to imported diseases. To develop local knowledge through involvement of communities across the South West. What do I do if I see a swarm? 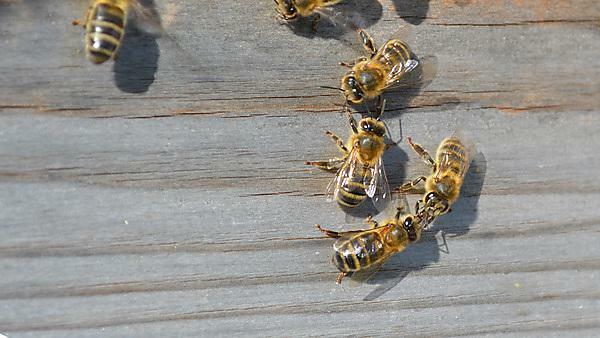 The University of Plymouth group do not deal with swarms. If you see a bee swarm, you can contact some of the numbers on the page linked below for assistance. Image above: Detail of Honeybees from Melissographia by Amy Shelton.